Most birds have a raised central keel on their breastbone, to which their main flight muscles are attached. But ratites have a flat breastbone. 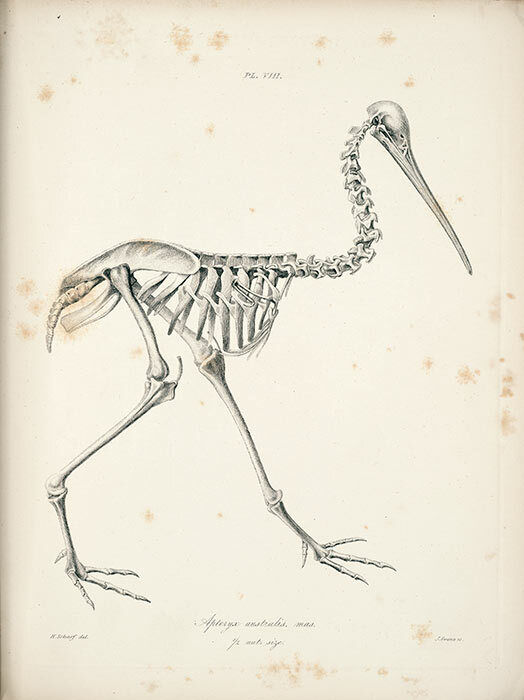 This etching, which appeared in Richard Owen’s Memoirs on the extinct wingless birds of New Zealand in 1879, illustrates the absence of a keel in kiwi.